Mountaineer Nation continues to support the children of our state and region when they are the most vulnerable. Please consider joining me in making a donation to support these children! 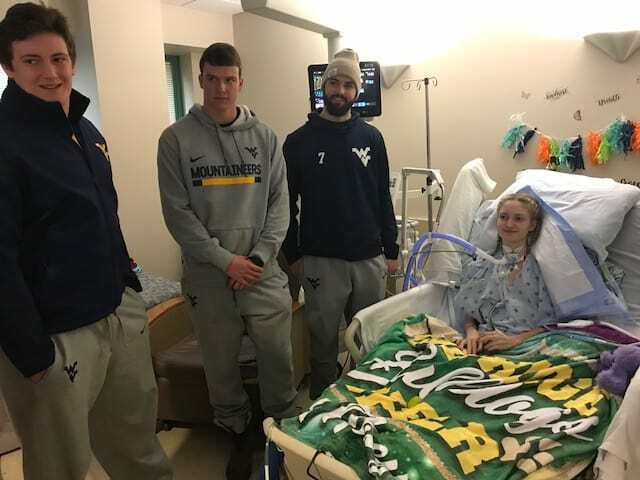 100% of your donation will benefit WVU Medicine Children's and will have an immediate impact for kids across our state! What is the Child Life program at WVU Medicine Children's? The Child Life program helps patients and families cope with the stresses of hospitalization. The program provides support, education, recreation, and assistance to patients and families both before and during your child’s stay here. Medical Play: Children can play with real medical equipment and supplies. This type of play helps children express their feelings about medical treatments and procedures. It can calm their fears as they become more familiar with hospital routines, words and supplies. Distraction and Coping: A Child Life Specialist can help ease a child’s anxiety when facing challenging medical treatments and procedures. It draws their attention away from the procedure to calming and interactive activities. These activities help make procedures less threatening. Active Play: The Child Life Department provides opportunities for play activities, developmental play and therapeutic play, individually and in a group. During times of stress such as hospitalization, play can provide something safe and familiar. It is an opportunity to express anxiety, fear, and misunderstandings about their hospitalization. Your donation to the WVU Medicine Children's Child Life Program will help us launch critical new programs and purchase essential equipment for our patients. Contribute today! All proceeds raised through donation, whether small or large, will go towards the Child Life program and help make a huge difference in a child’s life in our local community! Spread the word! Ask your family, friends, and co-workers to help share the campaign. Thank you! Your support provides the opportunity to purchase toy medical kits. The kits are used for play to reduce stress and anxiety, and help kids feel comfortable at the hospital. Kids can practice taking temperatures, changing bandages, and placing an IV with help from hospital Child Life staff. Thank you! Your support provides the opportunity to purchase Beads of Courage. With each treatment, patients fighting diseases such as cancer or Cystic Fibrosis are given a new bead for their necklace. Each bead represents a different part in their journey. Thank you! 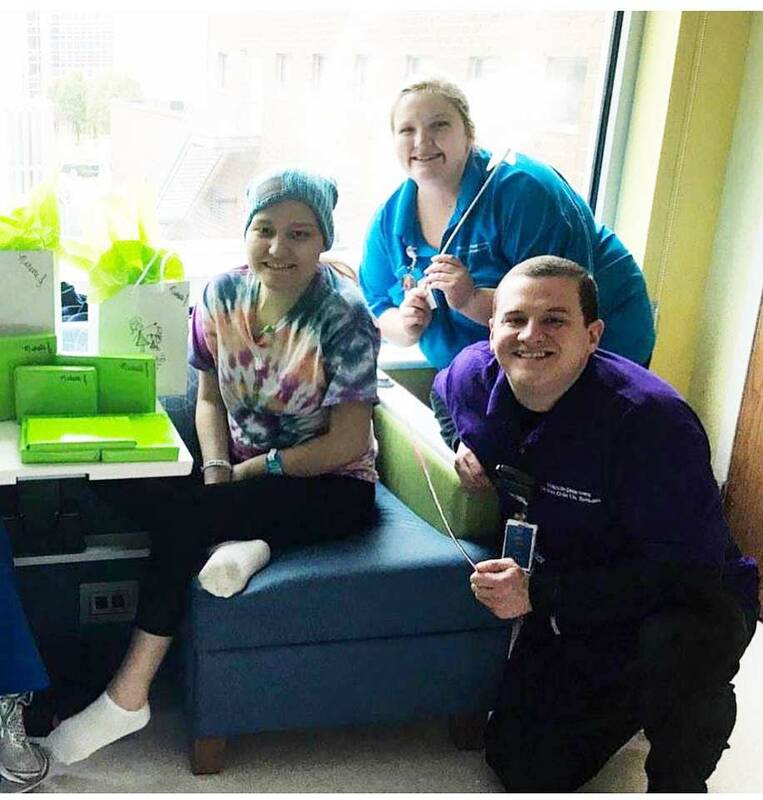 Your support provides the opportunity for a patient to have a special celebration, such as having a birthday while in the hospital or completing the end of a lengthy treatment plan, kids can get a pizza or ice cream party. Thank you! Your support provides the opportunity to purchase a red wagon, which is used to transport children around the hospital. Thank you! Your support provides the opportunity to purchase an iPad, which is used for distraction therapy while a child is undergoing a procedure or treatment. Distraction therapy draws the child’s attention away from the procedure to calming and interactive activities. These activities help make procedures less threatening. Thank you! Your support provides the opportunity to purchase 10 weeks worth of toys, games, prizes, and books for the kids. Thank you! Your support covers a Child Life Specialist for one week. Thank you! Your support provides the opportunity to purchase four televisions with DVD players for the patient rooms.